Image of Indian Flying-fox (Pteropus giganteus) taken at the Henry Doorly zoo in Omaha, Nebraska August 2011. Was finally able to get a picture with the bamboo as a background. 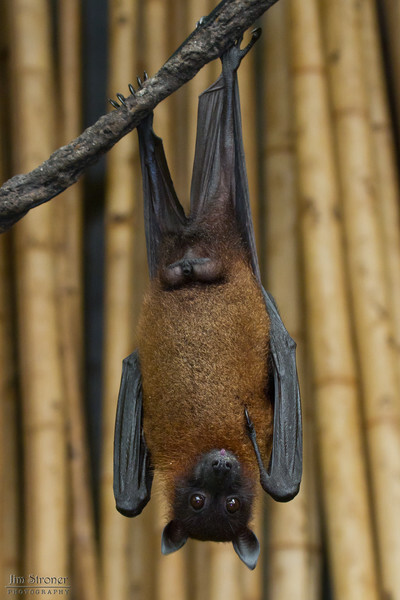 Also known as the Greater Indian Fruit Bat.